Choose from many colors, with a yellow or white crest embroidered onto your jacket. Our nylon jackets are fully lined, feature slash pockets, drawstring waist, and snap closure. These jackets are unisex and run a little large. Please order accordingly. Choose from two Cute turtles or our lamp of education to be embroidered over your heart. Choose the embroidery and font to go around it. 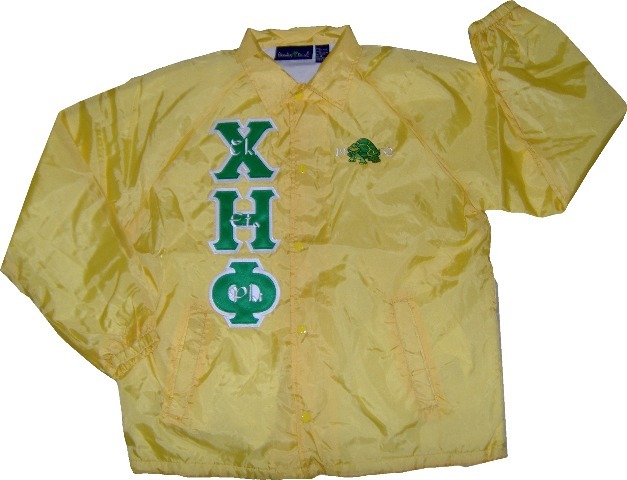 Shown: yellow gold jacket - Kelly green letters, white background, happy turtle with year through design. 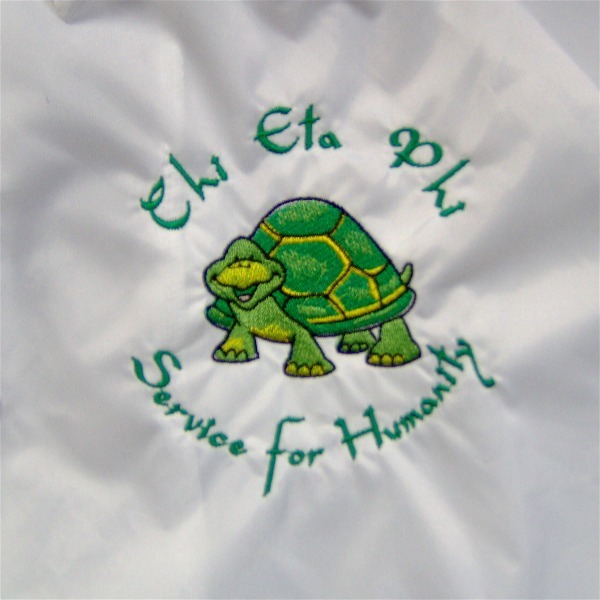 In insert: happy turtle with sorority name and 'Service for Humanity' arched around design; legende font.